The moon is the closest it has been to us for 20 years. 14% bigger and 30% brighter than normal apparently. Time to dust off the telephoto lens and try to capture as much detail as possible. Although this image does not have enough quality to be accepted for stock photography it can easily be added to any other photo. This image was taken at 150mm on a half size sensor so that is 300mm in old money. I did not resize/re-sample the image for this post. Instead I cropped out sky until I was left with 800×420 pixels. This avoids any loss of quality. As the original image had such a large area of black sky the cameras exposure could not be trusted as it will always overexpose the moon in an attempt to balance the image. Using manual mode I set the camera to f22 and 1/40sec to ensured the detail on the surface was captured. When you say half size sensor does that mean you can set the camera to only use part of the sensor? Can you not just tell it what areas to use for exposure calculation? The whole sensor is half size of 35mm film. So effective magnification is 300mm on a 150mm lens. Most cameras do let you choose which area you use for exposure. The area will probably still to be mainly black unless you can take a point sample. I will give it a try next time. Fabulous shot of this glorious moon. Thought i’d stop by. 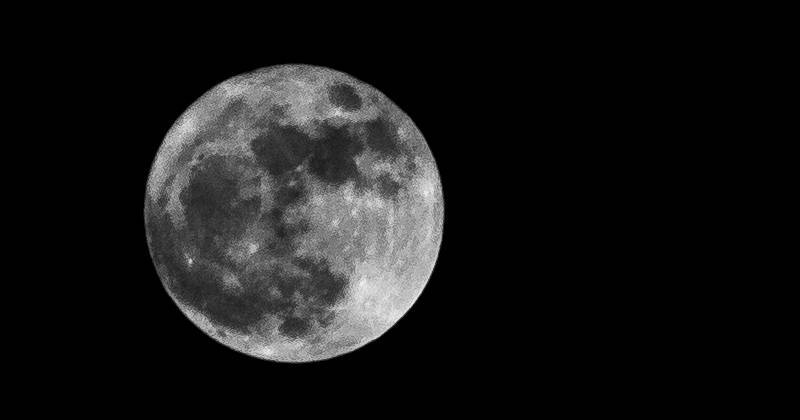 First, amazing shot of the moon And I like the design of your blog.